Combine flour, salt and baking powder in a mixing bowl. Add warm water and vegetable oil and mix until it begins to form a ball. Work the dough with your hands and knead for 2-3 minutes. Divide the dough into 8 evenly sized balls. Roll each one out on a floured surface into a circle approx 7-8 inches in diameter. Once rolled out, do not stack tortillas on top of each other as they will stick together. Place one tortilla flat in the pan and cook for approx. 30 seconds on each side or until the dough becomes dry and brown spots begin to form on the surface. 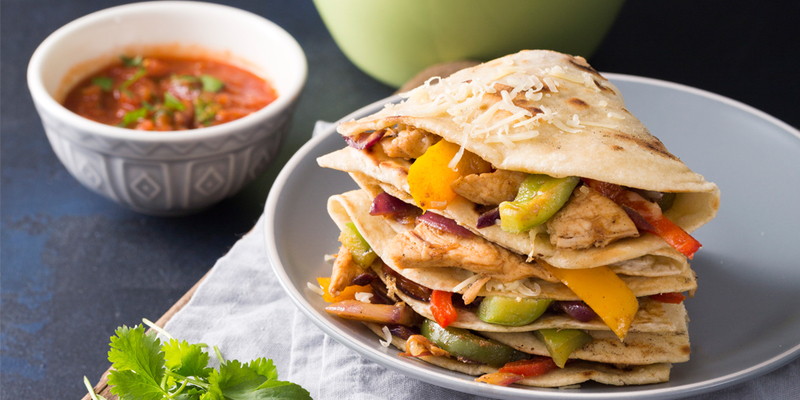 These are perfect or quesadillas or fajitas and can be served hot or cold.